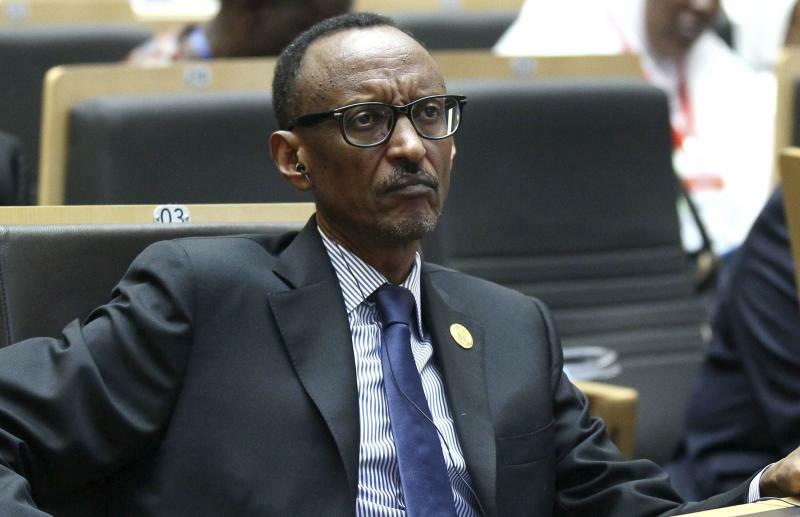 KIGALI (Reuters) - A popular singer in Rwanda known for his renditions of the national anthem was sentenced to 10 years in prison on Friday after being found guilty of plotting to kill Rwandan President Paul Kagame and other senior officials. Two others were also found guilty and jailed. The prosecution said the accused had worked with the South Africa-based opposition group, the Rwanda National Congress. Singer Kizito Mihigo was ordered jailed for 10 years, while Cassien Ntamuhanga, a journalist for Rwanda's Amazing Christian Radio in Kigali, was sentenced to 25 years, and Jean Paul Dukuzumuremyi, a former soldier, was sentenced to 30 years. Mihigo and Ntamuhanga were accused by the prosecution of plotting with the Congress on social media. Former soldier Dukuzumuremyi was allegedly given money to carry out grenade attacks in Kigali, while Niyibizi was accused of facilitating a cash transfer to him, the prosecution said. Mihigo, a Tutsi survivor of Rwanda's 1994 genocide, was well-known for singing the national anthem at official ceremonies, including some attended by the president. This year, he released a song called "Meaning of Death" that was banned by the authorities, apparently for touching on sensitive issues about the genocide, when 800,000 minority Tutsis and moderates from the Hutu majority were killed by Hutus. Kagame is a Tutsi who led a guerrilla force which halted the killings. Critics accuse the president of concentrating too much power in his own hands and stamping out dissent. "It's a shame, it's not justice. This is ridiculous," Ntamuhanga told reporters as prison guards pulled him from the courtroom. "No matter how long the night is, the sun appears." He said he planned to appeal immediately. The case has also drawn criticism from rights group Reporters Without Borders. Agnes Niyibizi, an accountant who was also charged in the case, was acquitted.